I learned early on in ministry that activity does not necessarily equate to accomplishment. You can be busy doing lots of things all while getting absolutely nowhere of value. The same is true in the Christian life, we can find ourselves spending a lot of time doing spiritual-looking activities yet accomplishing very little of Kingdom worth, internally within ourselves and externally. Unfortunately, the same Grace that saved us is often not seen as the same Grace that sustains and grows us. Somehow we have come to believe the idea that at the very least, a bit of the flesh is necessary to somehow improve our lives. So, we work, strive, and try to perform our way to a better life. Yet, if you are like many Christians, you are secretly frustrated. Though you might never give it a public voice, your inner thoughts are haunted by the conclusion that all these spiritual gymnastics you have been doing and performing aren’t improving one thing. You are tired, exhausted, and wonder deep down, “what’s wrong with me?” I am doing my best only to still be stressed. The truth is, what releases God’s activity in and through your life is your faith, not your striving. In fact, the same efforts we think that our progressing God’s work in us can be the very same ones that are blocking it. Yet, at the same time, we can have tons of faith within us, but we aren’t we releasing that faith to work on our behalf. We can become like loaded guns, we have a lot of faith ready to go, but it’s not being released. So, what releases our faith? Most Christians would answer with something like… “my obedience,” “my efforts,” or “my faithfulness.” But those are all centered on our performance, they are types of “work.” And unfortunately, they are activities (as important as they are) that don’t accomplish much. For God, ironically, “speaking” is His work. In Genesis chapter 1, God creates the entire world into being through speaking, not doing. What works for God is what God wants to work for us. Speaking is a release of our faith that accomplishing more than our efforts ever could. In fact, that which is His work (speaking), is really not work. Under the new Covenant of Grace (brought through Jesus), speaking is the new doing. Why is this? Because under the new Covenant, believers are Kings and Priests. Slaves and servants don’t speak much, and if they do, it’s always in response to their circumstances. Yet, by the way we speak and don’t speak as Christians, you would think we were still slaves. “I am not good enough,” “This is impossible,” “Things will never work out,” “I am a failure.” And then we wonder why we aren’t reigning in life. However, we as Christians are not slaves and servants, we are Kings and Priests unto God. Kings and Priests us words to alter circumstances and change their future, not merely respond to it. Indeed, speaking is the new doing. In the Kingdom system of life, what you speak is what you get, not in contradiction to God’s will but in the flow of His favor. Speaking is the secret weapon of our faith, not doing. 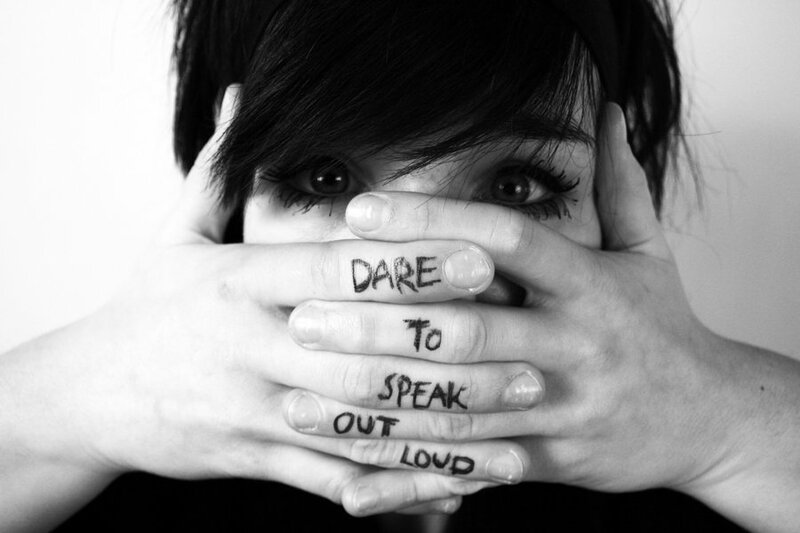 Never underestimate the power speaking out loud. The most important proclamation your faith needs to hear is your own. It’s one thing to have faith within your thoughts, but speaking is what releases that faith. Change your self talk and start speaking words of faith verbally out loud, and watch your life change. No, I am not talking about sharing your faith, I am talking about confessing the Word and the promises of God, along with your words of faith, audibly to yourself. It’s not work, it’s releasing your faith to work.